Yes, a lighter will blend, but it won’t go without a bang. 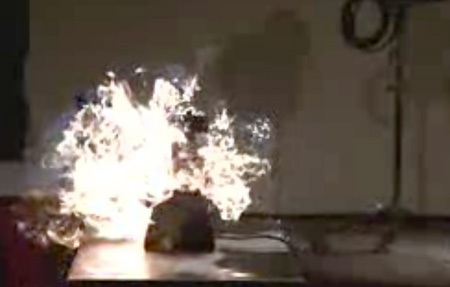 The fireball was captured in slow motion with a high-speed camera. Continue reading to watch. Will lighters blend? Yes, they will. And the explosive results, filmed in slo-mo, have finally warmed me up to this otherwise inscrutable internet meme.